In June 2016 an amendment to the law on Waste Management (from 2011) was issued, making the municipalities responsible and financially accountable for the collection and disposal of their waste (municipal solid waste and non-hazardous construction and demolition waste). They are given the possibility to transport their waste in one of the 2 official regional landfills in Montenegro (in Bar and Podgorica) where they have to pay a fee per ton of waste disposed. 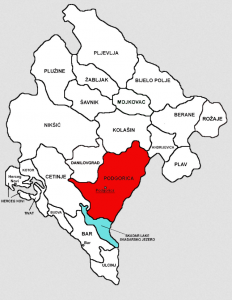 There is also plan for a 3rd landfill to be built in Bijelo Polje (Northern region). Municipalities can also bring sorted recyclable waste (including plastics) which will be free of charge. There are two recycling centers – Podgorica and Herceg Novi. There are plans to set up recycling centers in Bar, Bijelo Polje and Niksic. Many small municipalities have little to no or little budget allocated to waste management, nor the expertise to implement a waste management plan. They could be tempted to dispose of the domestic waste by dumping them in the numerous unregulated dumping sites or burning them in the open-air as it is still common practice throughout Montenegro. Awareness of the damages of burning plastics on health or releasing plastics in the environment is extremely low especially in the remote areas. Montenegro is a small country (650.000 people) with 23 municipalities divided in 3 main regions. Waste management is poorly managed in most parts of the country, mostly the North which is the poorest. There is a huge lack of human resources, expertise and infrastructure in the waste management area. And lack of awareness of the negative consequences of poor waste management. Organize sessions with municipalities and public utility companies to support them implement their Waste Management plan in accordance with the National Waste Management Master Plan and the Zero Waste principles – and to raise their awareness on economic value of (plastics) waste. June 2017: Several municipalities in the Northern part of Montenegro have been visited so far in partnership with PROCON. So far, no municipalities have shown interest to receive our support due to lack of human resources, financial resources or skills on their side. NB: In the new amendment, the deadline to stop using the 273 unregulated landfills throughout the country (that was set to 31st December 2016) was changed to “a date that will be defined in the State Plan”. There are currently 155 local unregulated dump sites(under 100 m3) , 68 unregulated dump sites (under 100-1000 m3) and 50 bigger than 1000 m3.